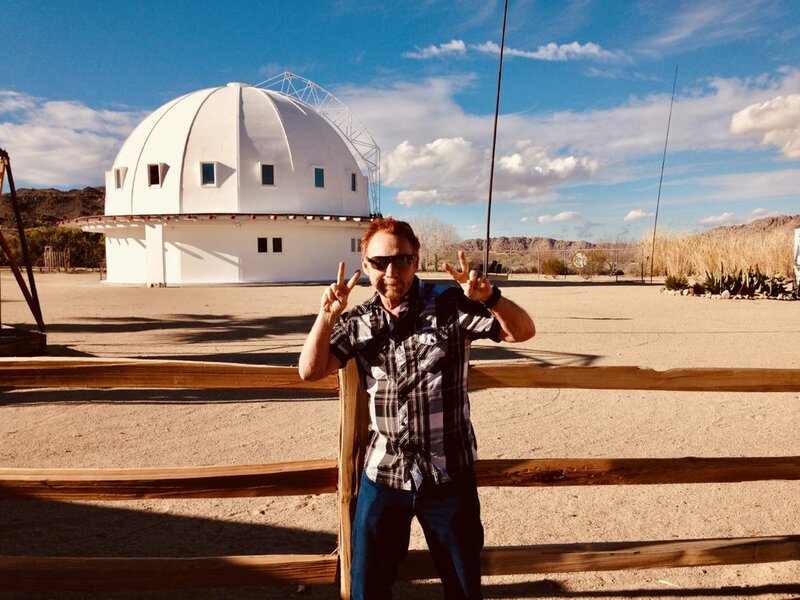 After several days of enjoying luxurious Palm Springs, Danny and I decided we needed to get out there and check out the surrounding desert towns, oddities, and landmarks. We hopped on the 111 North and within 20 minutes were in the presence of the famous Cabazon Dinosaurs. Being a child of the ‘80s, I was starstruck by Dinny and Mr. Rex, the two massive steel and concrete reptiles who made cameo appearances in Pee-Wee’s Big Adventure and The Wizard. Entrance to the gift shop inside the brontosaurus is free, but I left my wallet in the car, so my nephews are down “Be sure and tell 'em Large Marge sent ya!” t-shirts. For $13 ($11 for kids) you can get into the T-Rex where you can climb up all the way up to the inside of his teeth, as well as experience other dino-themed fun such as a dinosaur dig and fossil panning. The roadside attraction is also a creationist museum, which is the only thing weirder than the dinosaurs themselves. 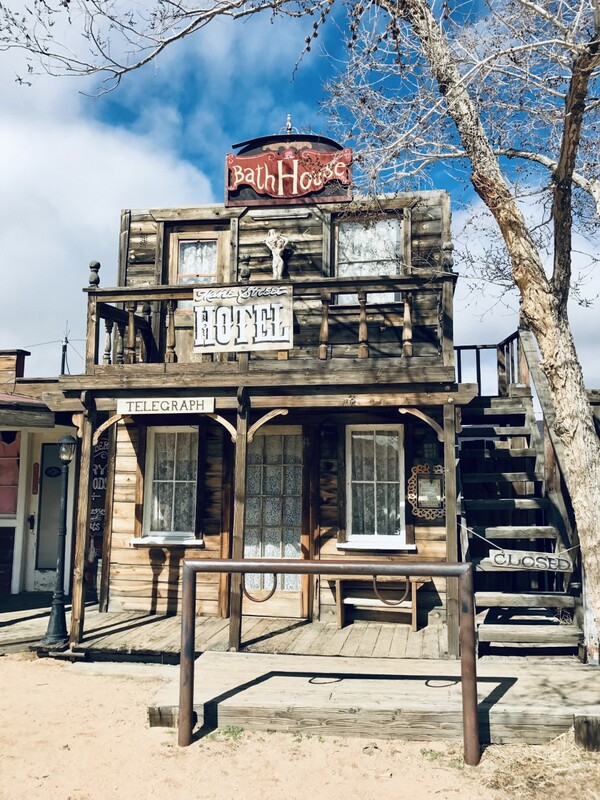 A forty minute drive later and here we are in Pioneertown, an 1880s-themed Old West movie set built in the ‘40s where hundreds of Westerns and tv shows were filmed. These days, industrious hipsters have taken over the four block stretch on Mane Street (not a typo) and have opened shops selling handmade soap, knit hats (even in the desert), and used books out of an old barn. There’s even a pen of baby goats that you can snuggle. I was really excited to check out Pappy & Harriet’s, a popular biker bar, restaurant, and live music venue, but I wasn’t exactly thrilled about the two hour wait. But if it’s good enough for Paul McCartney, who played here for a small audience in 2016, then it’s good enough for me. The Integretron. Where do I even begin? An eccentric named George Van Tassel claimed he was instructed by aliens from Venus to build this structure, said to have time-travel and anti-gravity capabilities. It’s been here, in the middle of nowhere in Landers, California since 1959. Howard Hughes even threw a few bucks toward the project. In the early 2000s three sisters bought it and now host “sound baths,” which are basically hour long meditations accompanied by vibrating quartz crystal bowls. We tried to book a session online, but they were completely packed, and, to be honest, I was relieved not to have been held hostage by an hour of weirdness. We took a few pics, bought shirts in the gift shop, and split. 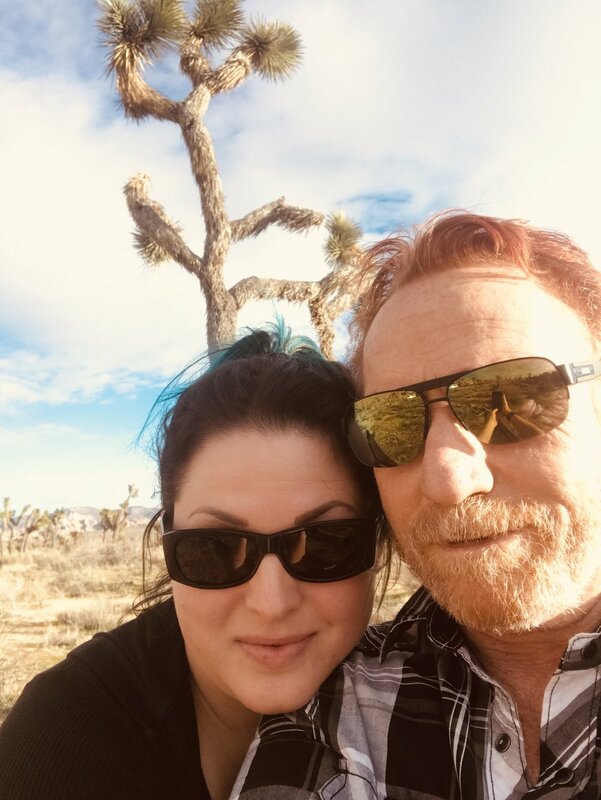 Danny and I are not really nature kinds of guys, but, maybe it’s the music fan in me, I felt like we had to go to Joshua Tree. We drove around hoping to find the famous U2 tree and eventually gave up and posed with a random tree and made a pact that we would tell people that it was the real one. Upon googling later, I learned that, not only did the tree die a long time ago, but that those album photos were actually taken at Zabriskie Point in Death Valley National Park, like 250 miles away. As we made our way back to Palm Springs for the night, we happened to be driving through the park right as the sun was setting and it was breathtaking. Photo by Yelper: Hugh A.
Salton Sea, which only exists due to an irrigation mistake, is the largest lake in California. It’s difficult to believe, but it was once a booming tourist attraction in the 1950s and ‘60s. At that time when the salinity was lower, there was water skiing, boating, sport fishing, resorts, even a yacht club. Rising salt levels, runoff from fertilizer, and a large presence of bacteria caused the sea to become toxic, killing off marine life. Today some of the beaches are completely covered in fish skeletons and salt-encrusted relics. It’s a truly fascinating place. But don’t mistake fascinating for nice. If you’re interested, I recommend the 2004 documentary Plagues and Pleasures on the Salton Sea narrated by John Waters. Bombay Beach, one of the small towns located on the Salton Sea, looks like an atomic bomb went off here decades ago. There’s only a few hundred people who live here, many of whom use golf carts as their main form of transportation. The town’s main watering hole, The Ski Inn, is 223 feet below sea level, proud to call itself “the lowest bar in the western hemisphere.” On the day we visited, a small group of locals were waiting as the doors opened in the morning. They were a friendly bunch, happy to share tales of the town and help us plan the rest of our day. And this was how we came to discover Salvation Mountain. Drive a mile down the road to the town of Nilad, turn left, and there it is. Salvation Mountain is a massive piece of art created by Leonard Knight, a local visionary who wanted to spread the message of God’s love. It looks like its right out of a Dr. Seuss book. The artist passed away in 2014, but donations and volunteers keep the project alive. It’s some of the best of road-side California and makes for the perfect photo-op. After putting 300 miles on the rental car, it was time to sit by the pool back in Palm Springs and process how weird and cool the California desert really is.